Yay, it's September! That means it is the month of my absolute favorite season- autumn. Bring me all of cardigans, boots, and pumpkin everything. All of it! I have been craving the crisp breezes and sweater weather. I know I'm southern and you're scratching your head, but let me tell you, this girl here was not made for heat and humidity. Give me fall and winter any day. Guess I moved to the right place when I came to the Great White North! Finger Lickin' Lacquer in Ice Wine - Yes, this is my BFF's company but I promise I'm not biased! I get compliments on this color every time I wear it! Smashbox Blush Rush in Flush - I always come back to this. The glow it creates is so natural. 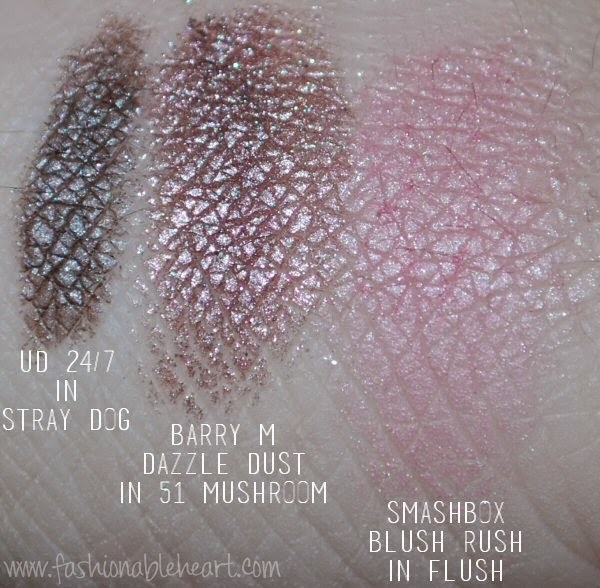 Barry M Dazzle Dust in 51 (Mushroom) - I love Barry M pigments. This is a beautiful taupe. Lancome Grandiose Mascara - My newest favorite! The wand and formula = perfection. Urban Decay 24/7 Liner in Stray Dog - My HG eyeliner. I wish it was permanent, but it often comes back in their eyeliner sets! What were some of your favorites from this last month? If you did a post on them, let me know! Loving the Smashbox blush. 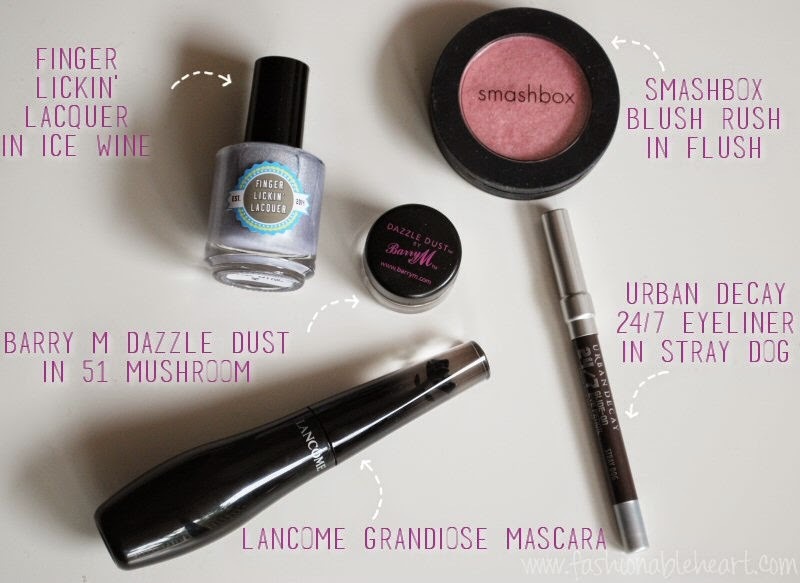 I usually wear Mac blushes, but that one just seems like it's a really good one to have! Gah, yes. If my clothes are sticking to me when I've simply just walked outside, I am not a happy camper. I'm so happy that this summer was milder than usual up here! Going to read it now!